My published work featured in the press – This page shows some of the weddings I’ve had published in wedding magazines and wedding blogs over the last few years. I love checking out gorgeous weddings on wedding blogs, so it’s always really flattering to see my work featured there. I’ve also been interviewed to share my professional knowledge and expertise within the industry for a number of photography magazines like the British Journal of Photography, Professional Photographer and f2 magazine. 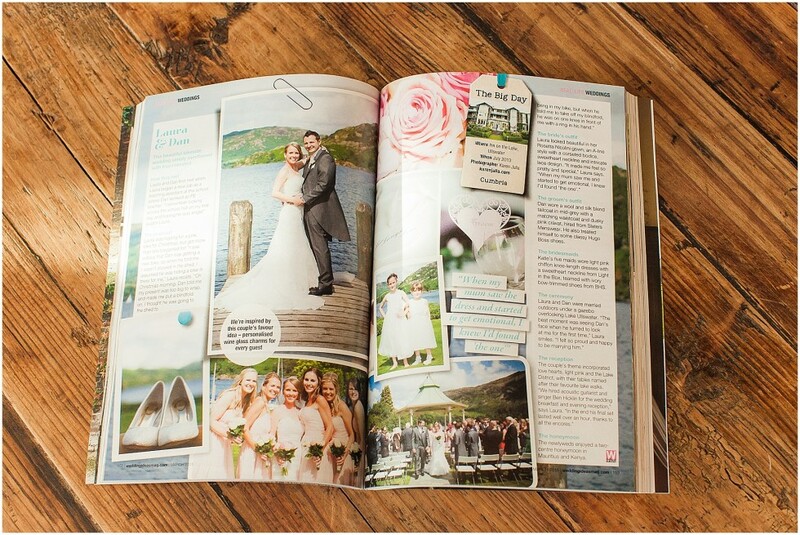 Laura & Dan’s Lake District wedding in the March 2015 issue (145). Jennifer & Jason’s Alice in Wonderland themed wedding at Nunsmere Hall in 2011 100th special edition issue. F2 Magazing interviewed me as part of an article about business. In the article, I shared my knowledge and expertise on how I structure my photography packages to increase added value for my customers. My photos are the bottom two on the double page spread shown. 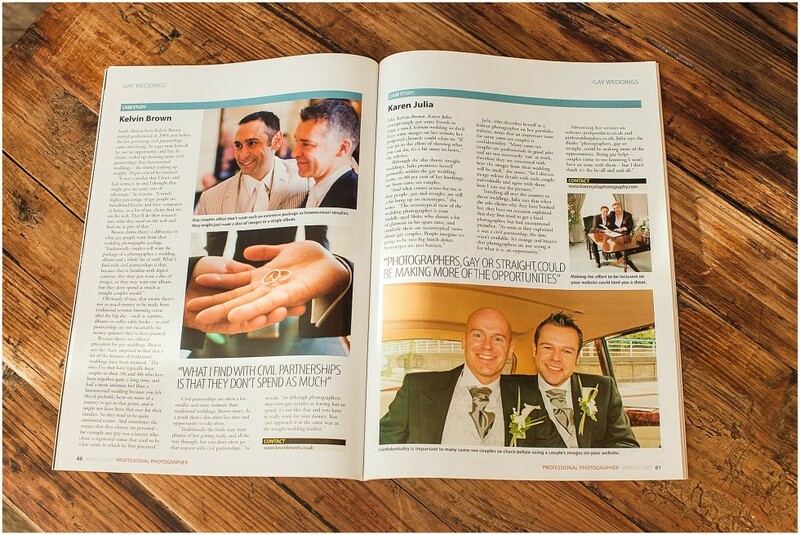 I was interviewed by journalist Gavin Stoker for a feature on Civil Partnerships in professional photographer magazine & to share my business approach and expertise in this area. The photos of mine that are featured are the ones on the right hand page.